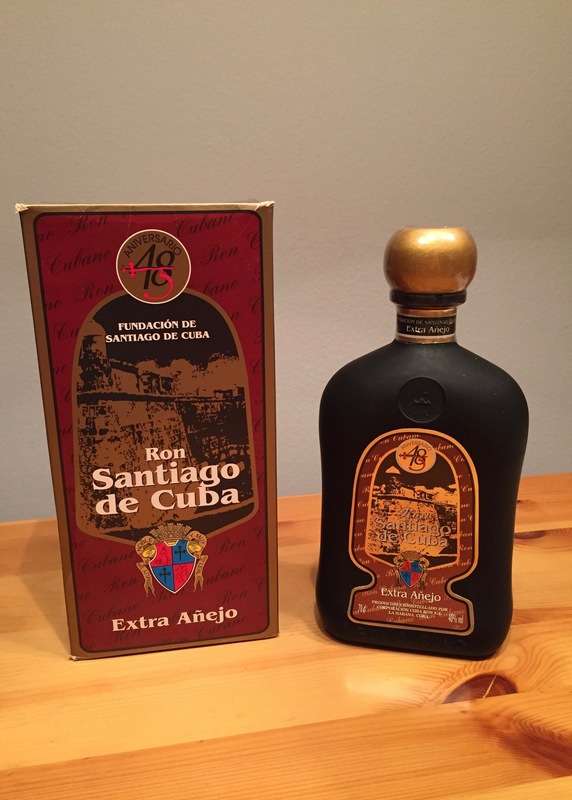 Have you found an online vendor selling Santiago de Cuba Extra Anejo 25-Year? Le goût reste infiniment en bouche. Je suis sans mot. Quand même très dispendieux mais une fois à Cuba sa vaut pas mal plus la peine. Really long taste in mouth. I'm wordless about this one totally worth it. Worth going to Cuba just for that! I was really excited to find this when I travelled outside the US. It is a good rum, but it's not one of my favorites. Tastes and smells of caramel, spice, cinnamon, and a fruity wood (maybe calvados aging?) which I'm not a big fan of, tobacco, and a hint of cacao. I like it, but it's not as good to me as my higher rated rums. Alt går op i en højre enhed med denne rom. Den er kompleks på alle parameter. Den skal prøves eller købes. Det er som at smage på himmelen. Velmi dobry rum. Tmavy, sladkasta chut, nepreraza zbytocne sudovost (vona ani chut) a tym padom sa rum nezmenenil na brandy ;) lebo vacsinou ak je rum viac ako 20r je velmi brandyovy...ale tento dostal zo seba maximum - rum ako ma byt. Sladky, vonavy, jedoducho RUM!!! A hint of licorice on the nose, nut and wood flavor, finish is sweet wood. It is smoother and more aromatic version of the 20y. It is all very subtle, as is the case with the high-end Santiago de Cuba series. There is a chance you won't instantly like it unlike the sweet Solera rums, but it is worth it. Enjoyed a glass of Santiago de Cuba 25y while vacationing in Brussels. Semi dark color. High end bottle with a nice old fashioned label design. Very flavorful smell test. Nutty and so smooth on the taste test. Tiny amount of burn due to no added sugar but very mellow and pleasant experience. Taste lingers long afterwards when the burn has already dissipated. Definitely worth the 8 score. Muligvis dyr, men et must og den skuffer ikke. Efter 10 min i hånden er den intet mindre end fantastisk. Sweet and smooth. Once an insider tip but now well know. 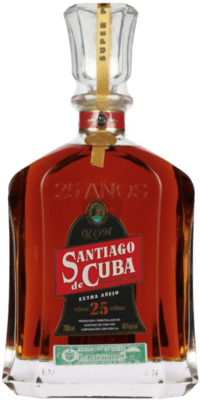 One of Cubas best rums. Mon Dieu quel rhum!!! Pas 1 gramme de sucre ajouté. Un véritable 25 ans d'âge sans artifice d'aucune sorte. Ce rhum force le respect de par son vieillissement ou ni le fruité ni le boisé ne prend le pas sur l'autre. Je tire mon chapeau au maitre de chais de cette fabuleuse et authentique maison. 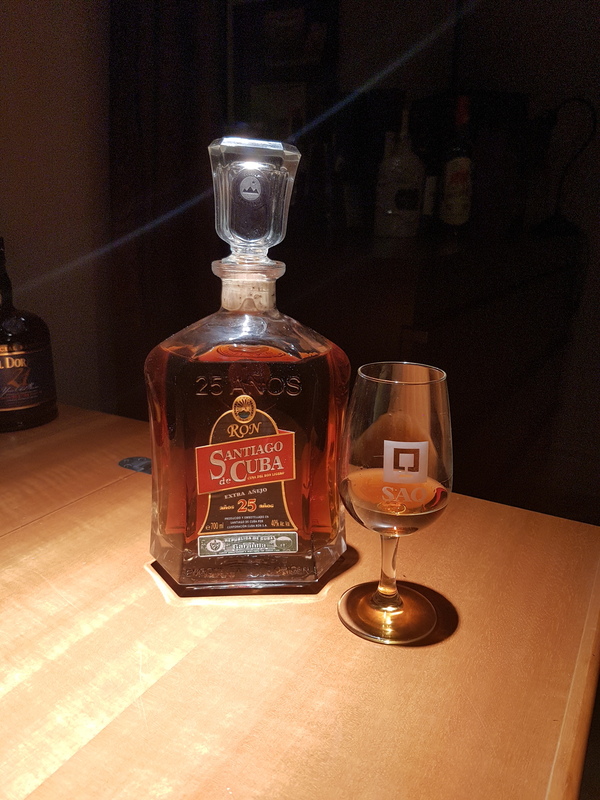 This is the best age to Cuban rum that I have tasted to this point. I have not had the Maximo but I have also had the Cohiba Havana Club rum and it doesn't compare to this.